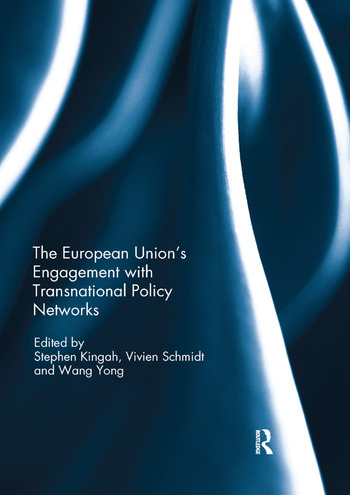 This book is the first of its kind to paint a comprehensive picture of the manner in which the European Union (the EU) interacts with transnational policy networks (TPNs). The TPNs covered are those in a variety of fields including: conflict-prone natural resources, health, energy security, migration, human trafficking, combating of terrorism financing and climate change. The chapters are developed around six main lines of inquiry. The lines of inquiry articulated are: modalities through which the EU influences TPNs around the world, TPNs’ influence of policy and decision-making within the EU, conditions under which engagement between the TPNs and the EU may be regarded as successful, the identity and location of the TPNs and finally the added value or futility of a strategy developed in Brussels to weaken or fortify interactions with the networks studied. The importance of TPNs should be approached from the angle of the heightened attention now placed on informal modes of decision making. Increasingly there is a sense that many international decisions are adopted and internalized through networks that can be efficient yet wanting in transparency. The book unveils complex debates on the inter-phase between inter-governmental / supranational entities like the EU, on the one hand, and networks, on the other. The physiognomy of this inter-phase matters not only for the EU but also for other such inter-governmental/ supranational bodies as well as networks. This book was previously published as a special issue of Contemporary Politics. Stephen Kingah is research fellow, United Nations University Institute on Comparative Regional Integration Studies, Bruges, Belgium. He previously served as an ad hoc administrator in the European Union Commission. Recent publications include Access to Medicines and Vaccines in the South: Coherence of Rules and Policies Applied by the European Commission (2011) and Global and Regional leadership of BRICS countries(2015). Vivien Schmidt is Jean Monnet Professor of European Integration, founding director of the Center for the Study of Europe, director of the Center of International Relations and Professor of International Relations and Political Science, Boston University. Wang Yong is Professor at the School of International Studies and the director of the Center for International Political Economy, Peking University.